← Feel like a ballet dancer ! After a visit to the dreaded dentist, I usually reward myself with a delicious brunch at Toi, Moi, et Café on Laurier street in Montreal. Recently, while enjoying the biggest latte in a bowl they had on the menu, I read “The To-Do List” by one of my favourite romantic comedy writers, Mike Gayle. As I sat alone laughing loudly enough that other coffee drinkers were staring, I thought to myself that I have to share this writer with others because everyone needs to discover him if they haven’t yet. 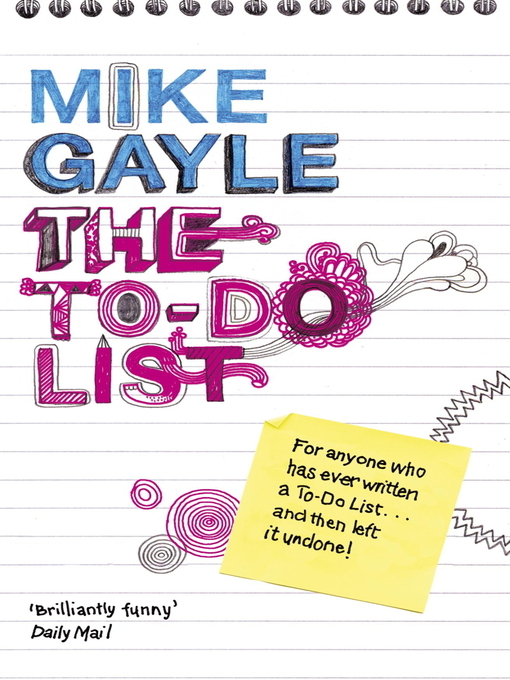 The premise of the book “The To-Do List” is that Mike Gayle himself, a self-proclaimed lover of to-do lists, decides he will give himself 1 year to complete the mother of all to-do lists, a list of 1,277 tasks. They range from “no.1041. Find out what happened in the last episode of the X-files” to “no. 1175. Indulge wife’s increasing fondness for scatter cushions without complaint” to “no. 1271. Record outgoing message on office line that doesn’t state your mobile phone number incorrectly”. I think we can all relate. What had me laughing so hard was the scene at a weight loss clinic with his mum. I will say no more, but I hope you get to enjoy it! Mike Gayle writes feel-good romantic comedies from the guy’s point of view which makes his books refreshing and original. He is British with the wit to match, a music lover and a bit of an accidental romantic. He started writing about musicians at a teen magazine and then went on to write novels. 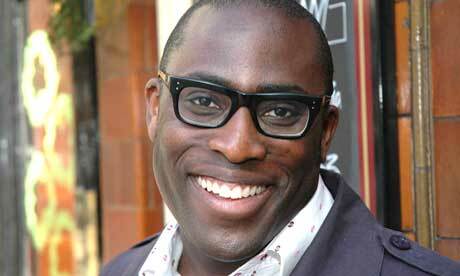 I liken him to a funny Maeve Binchy meets Nick Hornby (circa High Fidelity) meets Marian Keyes; all writers I love. Mike has his own unique voice that shows he is a down to earth, cool, humble lady’s man. Stories usually involve a love triangle, a friendship that turns to love or vice-versa, a life crisis, a good group of pub-hopping friends, eating take-out, and drinking wine. All good stuff. 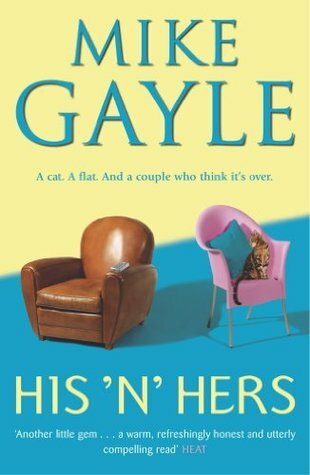 The first book I read of his was “His ‘n’ Hers” and that got me hooked. Because Mike is such an open and nice guy, I wrote to him to see if he would answer a few questions and he wrote back right away. I am very excited to share our chat! What is your favorite book (and why)? I like books that make me laugh so I suspect my favorite novel (if it’s possible to choose just one) would be “The Secret Diary of Adrian Mole”. I’m sure it’s the reason I became a writer. I started off as a journalist writing for teen magazines. As much as I loved teen mags I knew that I didn’t want to write for them forever so when an opportunity to go freelance came up I leapt at the chance to pick up the novel that I’d begun when I first moved to London. A year and a dozen rewrites later and my debut novel, “My Legendary Girlfriend” was completed. Love it. It’s the best thing ever. I especially love the reaction you get from readers. To be able to make people laugh or cry with your words is an amazing feeling. What is your favorite London Café/Tea Shop? I’m a big fan of “The Breakfast Club” in Soho. How can you not fall in love with a place that takes breakfast that seriously? What is your favorite spot in England to visit? I love Southwold on the Suffolk coast. It’s so beautiful and has a really nice vibe about it. A stroll along the pier followed by a a fish and chip lunch while taking in the sea views. Perfect. I was once flew to China in business class (someone else was paying!) and while China was amazing (And I’d love to go back) the real highlight was the flight. It was like another world! I loved it so much that they literally had to drag me from the plane. What advice would you give to anyone who wants to be full-time writer? Read a lot. Write a lot. And be prepared to re-write what you’ve written to make it shine. Indeed I do, my new book, “Seeing Other People” is due out August 26th, 2014. I can’t wait! Thanks Mike! You totally made me want to read his books, which is the best?